We are not only dedicated to the comfort and care of your horse, we also want to help you to develop a lasting partnership with your four legged friend. Have a horse lover in your life and not sure what to give them? Give your friend, family member or the love of your life a gift certificate of any denomination good towards board, training or lessons. We have available a variety of different size barns & pens, use of a 60' round corral, an all season arena [80'x 120'] and a seasonal arena [175' x 300']. Wash rack, oversized tack room, tie racks, trailer parking and turn outs of all sizes. 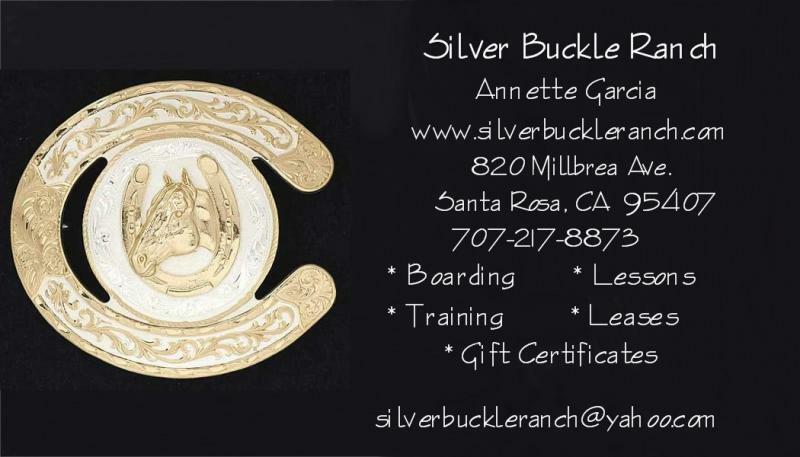 Training is available by Annette Allen for the beginner to the experienced rider, we will get you and your horse fit for the performance ring. Training - starting at $600 per month and includes board. Most of our lesson horses as well as some of the sale horses are available for lease. $335 per month includes 1 lesson a week plus 3 days on your own with the horse. Please check out our Sale Barn for current available horses. We believe in teaching balance and understanding the natural rythms of the horse. You will become one with the horse learning to communicate with your body & leg. You will learn to understand the performance horse, the mechanics of the horse's body & mind and how to get it to work for you.